If you put in an offer on the home, your agent will probably ask you how much earnest money you’d like to include. More money? You’re already trying to figure out how down payments, closing costs, and lender fees work. 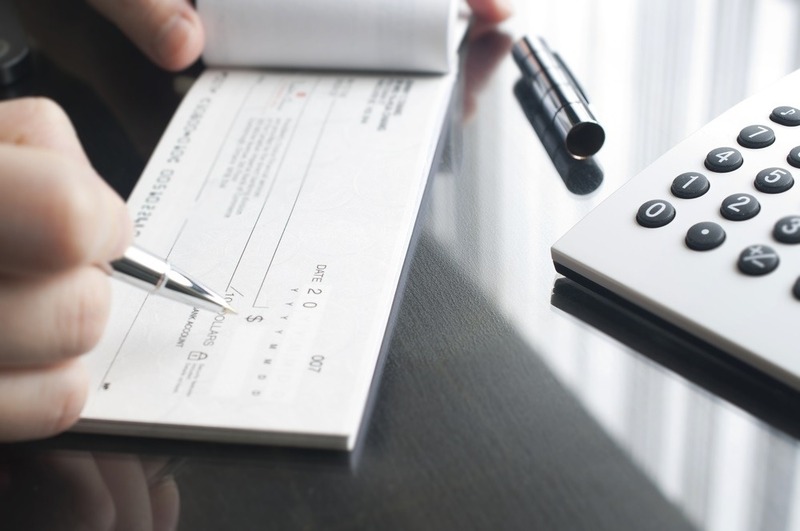 So what is an earnest money deposit exactly? Don’t worry, it’s a standard requirement for most contracts and if all goes well, you’ll get it back. Earnest money – also referred to as trust money, or a good faith deposit – lets the seller know you’re serious about buying their property. A lot can happen before you and the seller actually close on the home, and the seller needs a monetary incentive to know you’re not going to back out if you find something better without losing something of value (your money!). If all goes well and the property closes as planned, the earnest money deposit will be credited towards your final costs for the home. If things don’t go as expected… Well, we’ll get to that. The earnest money amount is negotiable, but market conditions and local customs may help determine a standard amount- typically 1%-5% of the purchase price. A good buyer’s agent will be able to help you determine this. Offering a deposit less than the norm could put you at risk for losing your dream home if you’re competing with other buyers. A seller may be more likely to go with someone they see as less risky and more motivated to go through with the purchase. If you want to get the seller’s attention with a big earnest money deposit, just make sure you’re serious about buying the home. Most likely, your earnest money will be due within a few days of both parties signing the contract. It’s not paid directly to the seller though. It’s held in escrow by the seller’s broker or a title company. This impartial third party ensures the money is kept safe until the contract is fulfilled by both parties, or an agreement is reached in a dispute. The terms of the contract will then determine what happens to the earnest money you deposited. Your contract likely has several contingencies to protect you and your earnest money deposit. If the deal falls through under one of these contingencies, you can still keep your earnest money. However, things like cold feet or an ugly neighbor aren’t likely to fall under the contingencies, so you need to know the legitimate reasons to cut ties or the seller may end up with your deposit. Financing. If you’re unable to obtain the financing you need to pay for the home, you can notify the seller before the due date and get your earnest money returned. A seller can offset some of this risk by requiring a pre-approval letter up front- making sure you have the income to support the purchase. Inspections. Typically, you have a chance to hire a professional to inspect what you’re buying. Everything between the foundation and the roof will be looked at with a fine tooth comb. If the inspector finds something completely unexpected, you can walk away from the home, earnest money in hand, if this contingency is stated in the contract. Appraisal. The list price the seller asked for this home was based on what the seller thought it was worth. An appraisal, however, will be an unbiased opinion on the value taking into consideration similar homes in the area, upgrades, and location. This may even be required by your lender. If the home appraises for much less than you’re planning on paying (or borrowing), this may be the point where you have to terminate the contract. The other thing to keep in mind as you review the contract contingencies are the timelines for each. If your valid reasons for terminating the contact are not disclosed within the timelines provided by the contract, you may lose your earnest money deposit to the seller. How do I get it back at closing? Once all the contingencies are passed, you’re on your way to the closing table. You may be hoping they give you that earnest money deposit back in cold, hard cash but you’re probably out of luck. You could request the earnest money be returned in the form of a check, however, most buyers elect to have it serve as a payment towards closing costs and the down payment on the home because, let’s be real, you’re already spending hundreds (or thousands) out of pocket. The settlement sheet provided to you should show your earnest money as a credit, while the rest of the expenses will be listed as debits. If you see any mistakes, you should notify your escrow agent immediately. Now that you know what an earnest money deposit is, you’ll can be more prepared to protect it by reading the contract in full and understanding contingencies and deadlines. If something happens along that way and the home will not close, you’ll need to know if your earnest money deposit is refundable. If not, it will be forfeited to the seller.